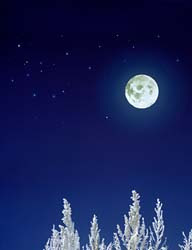 Sunday the 23rd is the Full Cold Moon, the last of oh seven. A trip to Walgreens and $3.99 set of light will decorate the Marin. The Phoenix Path has been cleared of ice and is more than ride-able. It's not a popular event yet in the small village of Fairhaven Ma. but it's growing. In just over three months the Full Moon Fiasco rides, a product of this fine bike club, have increased in poplularity from zero to one rider. The plan is to double that number for this month's ride. It's daunting, but a proper incentive can complete the task. (I'll buy the first round for anyone who shows). Come join us (me) on the 23rd at 8PM. We'll (I'll) meet at the the lot of the old Applebees and do a ride around Fairhaven, both on the MUP and around the side streets. There will be plenty of opportunities to warm up/fuel up at places like 99, Elizabeths, Ebb Tide, Towne Crier..... you know the places. Welcome the return of the sun, and celebrate the cold moon. That sounds like a fun tradition to try to start ... I hope you get some other riders! Happy Solstice to you, too. Have a great moon ride. Wish I could join you and get in on that first round. Good luck to you and the FBC Fairhaven From the FBC Spokane. Is Fairhaven near Medford? Yes, I could look this up online, but I probably won't. If it is next time I head out east to see my family I'll head over for a ride! Let us know how the ride went. Night rides are almost automatically more fun with a group.